Today, you are a member of... Surprendre - You Are A Member! Feel that members? No, it’s not creepy Gary Oldman dressed up like suddenly-in-your- personal-space Dracula. It’s November, the month that the Gregorian Calender turned from nine to eleven. And it may feel like there should be more than a month and three weeks left in the Year of Abstract Hat, but that would just be nostalgia talking. 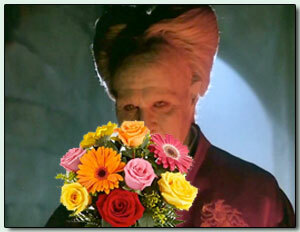 So instead of panicking at the almost undead annum, imagine it’s just creepy Gary Oldman with a bunch of flowers for you and enjoy the remaining conceptual suppositions of temporal haberdashery.